Indian Cricket: The Youth that Promises!! Productive Evolution has adhered Indian cricket over the past decade. The fitness levels have gone unmatched, the batting and bowling skills have developed efficiently, the hpower standards have raised bars and the balance amidst the team has been restored. This transformation however has its base rooted deep in India’s domestic institution. The number of First class Matches played not only in the country but also abroad has evidently increased. Be it the renewed Ranji trophy format, domestic limited over tournaments or the frequent India ‘A’ tours, cricket in India has been richly benefited with talent and growth. The U 19 and women’s tours have also attracted attention from the cricketing fraternity. BCCI’s initiative to give the deserving and talented a chance to prove their worth has amassed praise over the globe. New leaders in form of Manish Pandey and Karun Nair have emerged from recent first class tours to Australia and South Africa. Apart from boosting the confidence of these youngsters, BCCI has also ensured a pool of in-form players to choose from. Rising up to the occasion since MS Dhoni’s retirement in test cricket, Wriddhiman Saha stands a perfect example to how these domestic matches have lent India worthy match-winners. Likes of Pruthvi Shaw, Shubham Gill and Abhishek Sharma are few others coming in to fray from India’s junior cricketing circuit. The tours have benefitted the batsman to learn absorb pressure and bowlers to adapt to the foreign conditions. Sarfaraz Khan and Rishabh Pant have been a shining glory in junior circuitry. Under the watchful eyes of Shashank Sharma, mentored by Rahul Dravid both the U19 as well as the India A team has also embarked success in recent past. Venkatesh Prasad and BCCI have done a stupendous job to identify the talent and shower them with opportunities. Kedar Jadhav, Hardik Pandya, Jasprit Bumrah and Kuldeep Yadav have made a cut into the national side across formats and they un-hesitantly owe it to the Rahul Dravid School of coaching. Emergence of gutsy, confident and skilful players like Rishabh Pant, Ishan Kishan, Shreyash Iyer have also signified a certain Indian dominance in future. IPL too plays an influential role in shaping up of these youngsters with Washington Sundar, Sarfaraz Khan being an ideal example. Playing with the overseas legends, they have got acquainted to various cricketing cultures from around the globe helping develop their skills more efficiently. Stepping up when needed, leading the way from the front and implementing innovative ideas with firm basics has been a trump for all these players. Taking a leaf from Indian Captain Virat Kohli’s book, these youngsters are also seen striving for fitness and attaining required agility. The eager to play and win games for the country and the hunger to express freely on the cricket field has rubbed off from the senior players to these impressive toddlers. With India all set to play another home season along with a short South African tour, these youngsters would surely look to make a cut. Virat Kohli has been a driving force in shaping the youngsters along with MSD. They will certainly look to make the experience and the exposure count. Not only them but the domestic players will also look to make inwards to the first class sides proving their worth in the newly inducted Ranji Trophy format. World cricket today has reached a phase where it’s not only about consistency, hitting power standards or the skill of the players but also about the adaptability of the nation’s domestic institution as a whole to cater to all needs. India however ensures to have enough flare to build up to a glorious 2019 WC campaign. Author sumedhnaikPosted on September 3, 2017 September 3, 2017 1 Comment on Indian Cricket: The Youth that Promises!! Started from the Top, now here…. “RCB!! RCB!! 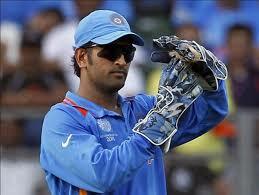 !” The loud cheer that greeted India’s most loved team last year faded exponentially this time around. A forgettable 10th season hindered the Royal Challenge from Bangalore. 3 all-outs and 2 <100 scores too emphasize the statement. In a competition where every team tried to strike balance in the squad, more than 25 squad changes in 13 matches is evident to justify the contrasting purple for Kohli and his team. RCB was always considered a front-runner for the title. In turn, a discouraging start with the bat against the Sunrisers seemed a dress rehearsal of the misery which awaited them. The real vows for RCB started even before the tournament began. Administrative issues had to be sorted and a few major reformations drafted in. Some serious efforts ensured that the franchise was upheld throughout the season. One blow was followed by another. Long cricketing season had cost many players dear and a plague of injuries worsened the cause. Mitchell Starc, AB De Villiers, Virat Kohli, KL Rahul, Sarfaraz Khan, Sachin Baby, Samuel Badree were set to miss at least a few matches. Tymal Mills bought in as a replacement for a whopping 12.5crores also ended up pulling his hamstring by the end. Likes of Travis Head, Pawan Negi, Billy Stanlake, Aniket Chaudhary, Vishnu Vinod were brought in as a try to attain the desired stability. Coach Daniel Vettori despite all initial deep waters was keen on swimming efficiently against the tides. However, the new signings never lived upto the expectations, the head never cropped up, the juggernaut never went rolling as RCB continued to sink into the rock bottom even after winning 9 out of the 13 tosses. The only two wins of the season which came against the Gujarat Lions and Delhi Daredevils were also criticized as nothing but a stroke of luck. The team always banked upon the Top 3 to fire but that wasn’t meant to be the case this year. The Gayle-storm which took everyone by surprise then; never arrived, the Kohli Classics which the world experienced last year went diminishing, and so did the ABD mayhems RCB often resided to. An irresponsible batting display from the senior squad members amassed pressure to which the inexperienced middle order succumbed astonishingly. Shane Watson, another senior experienced campaigner didn’t live upto the expectations either. Unstable opening combinations, inefficient bowling attack and frequent shuffle in the batting order hampered team’s performance to a huge extent. Though a few individual performances did stand out in certain encounters, the entire unit never struck the required octaves. Days when bowlers fared extremely well, batting fizzled out its stay. And similarly, when batting did wonders, the bowlers reached all corners of the ground. Be it those crucial Pawan Negi contributions, the valiant single-handed AB DE Villiers’ 89* against Punjab or Samuel Badree’s hat-trick against the Mumbai Indians, RCB could never capitalize on confident starts and could never get the momentum swing their way. A team which could never grasp a strong hold. M Chinnaswamy Stadium in the heart the garden city too went wayward with its 22 yards. An uncharacteristic pitch with a lot of turn and no pace handed the team a Royal Challenge in itself. Home conditions seemed deserted and it jolted team’s confidence manifold. 1 win from 7 home matches highlights the fact that 2017 is RCB’s worst season ever. A team known for hitting massive sixes could not even manage to match up the average, perhaps the only thing RCB would immaterially take away from this competition is Head’s 109m six, the longest of the tournament. Unlike other franchises, youngsters failed to step up and deliver for the last year finalists. RCB’s rock bottom was exposed when they were bundled out for mere 49 runs at the Eden Gardens against KKR, the lowest score ever in IPL history. Meanwhile, as Virat Kohli reciprocated the devastated feeling in every post-match presentation, RCB re-displayed the same performance every match. Lack of intent, poor execution of skills, uncalculated risks and impatient play could never make the play BOLD. The spirit amongst the fans is commendable and somewhere between a forgettable season and social torture, the fans still stand winners. Starting from scratch next year with a whole new bunch of players, RCB will look to make inwards to the title overcoming all their flaws. Author sumedhnaikPosted on May 13, 2017 May 13, 2017 2 Comments on Started from the Top, now here…. ​Science, today, has found home in any field you name, and cricket wasn’t left behind. With a view to curb umpiring blunders and to promote a fair game, ICC introduced the Umpire Decision Review System (DRS) in 2008. Today 9 years post the inclusion, there still exists confusion over its conclusive and decisive use in international cricket. Hotspot, ultra-edge and the hawk-eye assisting systems were timely transformed and corrected but the resulting confusion led India to restrict its use in home seasons for 5 years. Today, when India eventually has the technology in use, Virat’s ability and choices to avail the facility is under immense criticism. MS Dhoni mastered the art of reviews in the ICC Tournaments he led India in. Firm confidence, strong intuitions and ample of cricketing sense made him a captain of grit, determination and apt results. Be it ICC Cricket World Cups or Champions Trophy, the recent triumphs India has experienced owe a significant credit to DRS. Virender Sehwag was the first ever batsman to be given out after a DRS aid in 2008. Since then, DRS has also had it’s share of controversies and trolls with ‘Brain Fade’ and ‘Dharamshala Review System’ being the most recent. The captain can challenge umpire’s decision on behalf of the team. With just two unsuccessful reviews permitted per 80 overs, they need to be used cautiously. A routine front foot and bounce check of the ball to confirm the legitimity of the delivery is a compulsion. 3) Hotspot: Being a rare French connection, Hotspot was found in Paris and first adopted in local cricket by Australia. Along with snicko, hotspot is also used to determine the interaction between the bat and the ball. Evolving from the theory of friction and infrared sensors, hotspot is one of the most controversial inclusions in the DRS. Infact, even the ICC now plans a deduction or modification of the method. VVS Laxman being accused for coating his bat with Vaseline in the 2011 tour. 4) Hawk eye: Ball tracking as it is also called is used to trace the path of the ball. It stimulates the possible trajectory taking all external factors into account. The condition of the pitch, bounce, spin, weather, pitch and all other factors are well calculated before the result. It follows the LBW rules and righteously assists the umpire. A flaw in the 2.5m rule in DRS was effectively removed post the 2011 world cup due to varied glitches. 5) To check if catch is clearly taken: Review can also be asked to check if the catch is cleanly taken. Generally umpires would refer a close call but the batsman also has a right to ask review if he’s confirm of a bump ball or any such case. 6) To simply try his luck: An important team batsman or a last-wicket tailender uses DRS as a last throw of dice to hope his wicket is overturned. DRS is certainly an aid to cricket even with all its flaws and conflicts. In this Cricketing revolution, amidst all controversies and speculations, DRS still perseveres in its endeavour to promote a fair and clean game. India has been on the brisk of an unassailable success marathon right from the start of 2016. The famous Aussie whitewash triggered India’s winning streak which never succumbed to any opposition. Beating the Windies in their own backyard and then reigning supreme over the Kiwis and the Englishmen in all formats, Indian cricket left no leaf overturned. Be it the finesse in bowling, the exuberance in batting and the confidence in fielding, a balanced performance sought great praise. However a stood out throughout the season was the batting contribution from the lower order batsman. Kapil Dev had garnered India to be technically sound in all dimensions and Azharuddin had helped gain stability. Sourav Ganguly then further spurred the initiation of an all-round development leaving it to Ms Dhoni for being a torch-bearer to the purpose. As cricket matured to be more competitive, bowlers were burdened with multiple duties. Be it going in as a night-watchmen in tests, saving the game in crunch situations or supporting a well-set batsman contributing a cause, batting was a prowess even bowlers needed to master. Anil Kumble and Harbhajan Singh in latter halves of their career enjoyed a lot of success, an exemplary to many budding talents. The 2016 season was a revolution with hope. TAILENDERS as they are often called kept India’s tail wagging for long in crisis situations. Apart from the victories, the responsibility that they displayed with the bat was striking. Contributions from Ashwin, Jadeja and Jayant Yadav were instrumental in blanking out the Kiwis. With India recording the most number of international runs scored in 2016 by tail-enders, the sense of optimism engulfed the team. Sensible strike rotations, gutsy hard hits and timely delicate touches, batting standards improved manifold throughout the season. Sanjay Bangar, India’s batting consultant deserves praise for the confidence he instilled and the techniques he developed. Apart from the spinners, even fast bowlers in Umesh Yadav and Mohammad Shami have grown extensively to be someone team could rely on for support. It all started with the Australia tour in 2013. A certain MS Dhoni motivated Bhuvneshwar and Shami to generate the required resistance in the lower order. Player’s captain as he’s known for, knew all the limitations but utilized the resources quite well. The slogs transformed to proper cricketing strokes, the impatient hooks were now patient placements and the suicidal wickets now adored a valuable price. Even the legends in J Srinath, E Prasanna, Bishan Singh Bedi failed to replicate their bowling highs with the bat. With the current generation enabling it even in such a limited cricketing exposure, their perseverance, dedication and determination is commendable. Building up on establishing an invincible legacy in world cricket, the balance these lower order batsmen bring into the squad goes unmatched. Also it allows the skipper to play 5 specialist bowlers and adapt to his policies according to the conditions. For all facts, it’s just a start and there’s a steep slope towards success. But with such control, skill, talent and credibility, Indian tailenders assure a certain promise!